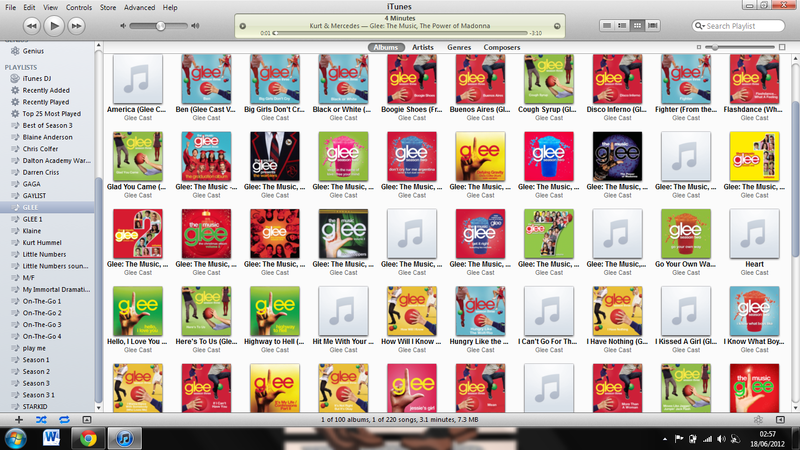 The television series Glee has many wonderful aspects and is an amazing show. It's tackled tough story lines, including teenage pregnancy, bullying, homelessness and teen drinking. Sometimes the episodes are charming and sweet, but other times they miss the mark. The Kurt storyline is very dear to many fans -- especially the LGBT community -- and actor Chris Colfer deserves all the praise he's received. Santana's coming out storyline has been equally touching, once series creator Ryan Murphy got around to treating it seriously. But the Nov. 29 episode titled "I Kissed A Girl" missed the mark so far that it puts a blight on the entire storyline. Both women and the LGBT community were profoundly offended by the episode, despite actor Naya Rivera's incredible performance as Santana and the heartbreaking scene with her grandmother, played by the riveting Ivonne Coll. In this episode, the glee club stages an outing intervention flying in the face of all of the lessons learned from the Kurt bullying story line. Then the males sing songs to females about how they should be empowered! (Because empowerment is really only found through men, right?) Puck gets away with saying his past relationship with Santana was only a phase, minimizing the pressure of being in the closet and destroying everything we learned about what she was going through. And finally, when they give the ladies a song, they pick Katy Perry's "I Kissed a Girl." The choice of this song is anathema to any person who has struggled to come out, since the song isn't actually about empowerment or even being a lesbian, but rather about being able to make out with women to please male sexual fantasies. Murphy is a gay man, and so he gets the gay storyline. That's part of why Kurt's character has blossomed: Audiences love the honesty of it over the one-note development of Mercedes, Tina and some of the other characters. If Murphy had been an Asian woman, you can bet Tina would have had complex storylines without much effort, but instead, Tina and her boyfriend have remained on the backburner with thin stereotypical storyline. Santana's character is being treated with more seriousness than some of the other characters but still with less weight than Kurt's storyline. If the writers treat her storyline with the same sensitivity and importance moving forward, it will go a long way to make amends. This, of course, would apply to all of the characters. The struggles and experiences of each individual, as informed by their minority experience, are worth treating with respect. It worked for Kurt, so it will work for Santana. When people hear the word "feminist" they automatically react negatively, and it's to society's detriment. I am a feminist. It's not a dirty word. Glee and the Santana story line would benefit greatly from understanding systemic male oppression and how even the queer community favors white gay men over lesbians or people of color. In understanding these issues, they can tell the story without reinforcing these systems of oppression and maintaining the honesty, complexity and conflict of the show that everyone loves. As it stands now, they are skirting conflict for conformity. That's just not good drama, in the true literary sense of the word, and it offends the core audience. Glee missed a major opportunity to give Kurt positive, gay male role models in lead character Rachel Berry's conspicuously absent gay fathers. But they can introduce a powerful lesbian character for Santana. In this they will have the ability to buck stereotypes of the butch v. lipstick lesbian and portray a successful person to help Santana along. They also have the ability to buck the male driven hyper-sexualization of lesbians on television, which would be a wonderful change of pace. Santana could use a relationship where she is required to ope up and care for someone else. Whether it is her relationship with fellow cheerleader Brittany or if they bring in someone new, the aspects of Santana's love and ability to connect with others needs to be explored. While they've addressed the coming out process of the relationship, the show has not explored the depth of their intimate relationship. 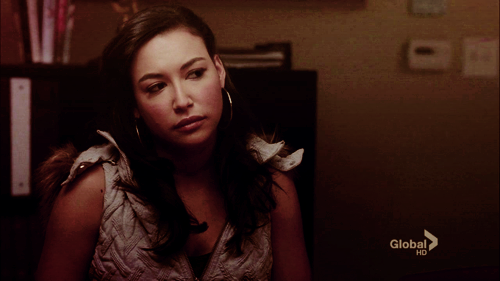 We know that Santana cares for Brittany a great deal, so let us see some more of the vulnerability. It makes Santana more likeable and makes the story line more engaging. This might sound a little nuts and obviously they can't jump back and re-film the episode. But the show should dedicate another episode to Santana's struggle, what people were/are saying behind her back and to her relationship with her grandmother. The actress Rivera, the character Santana and all of her fans deserve to have the episode and the story done right. There will likely be many reactions to this along the lines of "relax it's just a comedy." Kurt's storyline still fits into this comedy, even though the creators understand and address LGBT issues. If they can do it with Kurt, they can do it for the rest of the characters. Art, including television comedy, is meant to hold a mirror to society. While holding that mirror, Hollywood should give lesbians the fair and equal consideration they give gay men.